The response to the ongoing Dengue Fever outbreak continues. 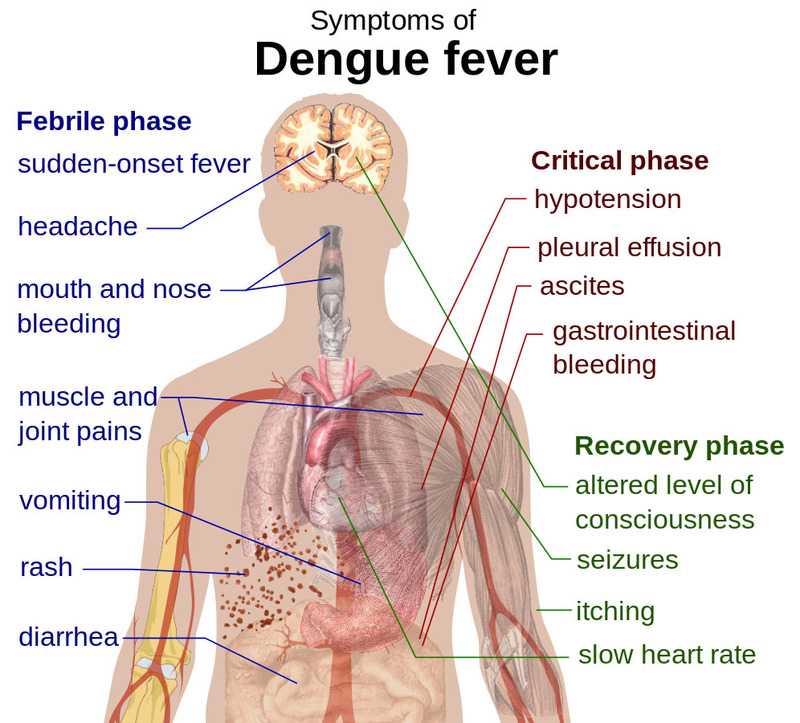 As of 1 p.m. Wednesday (April 20) the State Department of Health had reported no new confirmed cases of dengue fever since yesterday. Everyone should be reminded that this outbreak remains active and is not anticipated to be considered over anytime in the near future. Therefore we are asking for everyone’s help to continue to Fight the Bite. Presently, the total number of confirmed cases since the beginning of the outbreak is 263. These cases include 237 residents and 26 visitors. 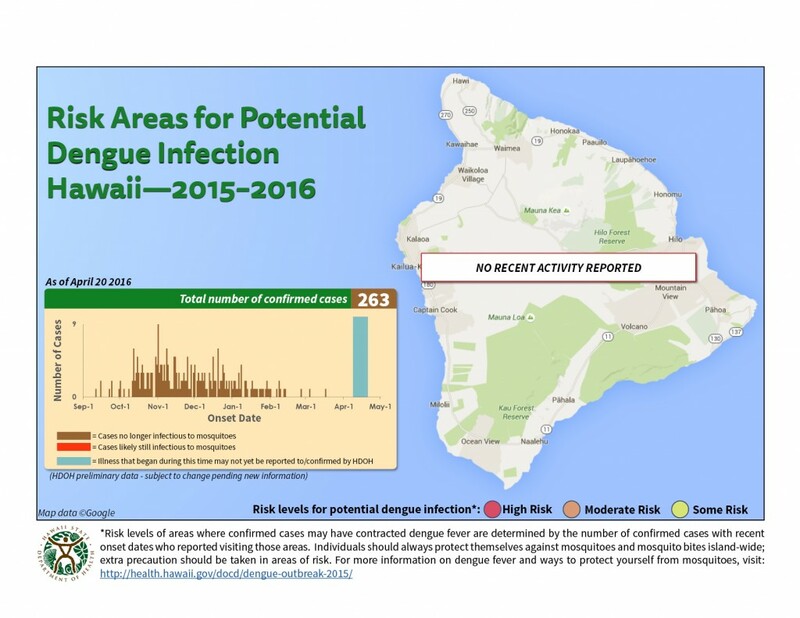 As of April 20, 2016: Since the last update, HDOH has identified no new cases of dengue fever. Currently there are no known potentially infectious individuals to mosquitoes.